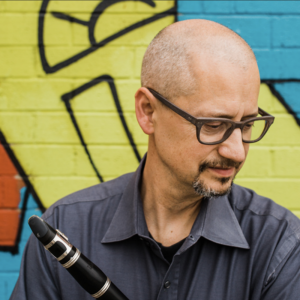 Anthony Taylor has been on the faculty of the University of North Carolina at Greensboro College of Visual and Performing Arts and Principal Clarinet of the Winston-Salem Symphony since 2007. He has been an Artist/Teacher for the Eastern Music Festival since 2013 and previously served on the faculty of the Hot Springs Music Festival (Arkansas) from 2008–2012. He has formerly held positions with the Spokane Symphony, the Boise Philharmonic, Washington State University, Eastern Washington University, and Whitman College. Taylor’s clarinet playing can be heard on the Navona, Centaur, Naxos American Classics and Gothic recording labels, most recently on two Centaur Records projects with New Music Raleigh and on Exhaling Space, a Navona release of UNCG composer Alejandro Rutty’s. Other recent recordings include the world premiere recording of Brett William Dietz’s opera introspective Headcase and the debut recording of composer DJ Sparr, 21207. He is currently finishing up a new recording project of electroacoustic works featuring works of several living composers, including Thea Musgrave, Alejandro Rutty, D. Edward Davis, and Aleksander Sternfeld-Dunn. Performances by Dr. Andy Hudson have been hailed as “a treat for the listener” and praised for “an uncommon singularity of purpose, technical virtuosity, youthful vigor and a mature sensitivity.” He has performed widely across the United States and Europe, including recent engagements at Carnegie Hall’s Weill Recital Hall, at the International Clarinet Association ‘ClarinetFest’ in Belgium, with the Chicago Symphony Orchestra on their MusicNOW series, and across Switzerland and Germany as a member of the Lucerne Festival Academy Orchestra. 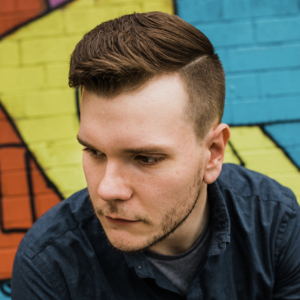 A fierce advocate for new music, Andy has premiered dozens of works to date and has performed at the Bang on a Can Summer Marathon, the Art Institute of Chicago, the New Music Gathering, and Constellation Chicago. Andy is a frequent soloist, recently performing the concerti of Weber, Gandolfi, Mozart, and Daugherty among others. Several of his performances have been broadcast on WFMT Chicago, including his 2011 performance of Scott McAllister’s “Black Dog” with the Northwestern University Symphonic Wind Ensemble. He has toured widely with the dynamic mixed-chamber sextet Latitude 49 and is a founding member of the trio F-PLUS. Andy joined the UNCG School of Music faculty as Lecturer of Clarinet in 2018.